Georgia - is something mysterious, covered with legends and puzzles, a country with ancient history and unique culture, kind and open people, a country of flowers and songs, country of churches, myths, mountains and blue sky. This country has a great cultural heritage. It has opened its heart to the whole world. As the public controversies in the country calm down, Georgia becomes more prepared to the tourist flow. Georgia - is a unique country, having enormous tourist potential - a prolonged Black Sea shores, around 300 alpine, sea, balneology and thalesotherapeutic resorts, about 10 thousands of archaeological, historical monuments and art masterpieces that had no analogues and also a lot of natural monuments. And all this is concentrated on a small territory, populated by hospitable and authentic population of the age of the Earth. Tbilisi, a capital of Georgia, is full of national peculiarities. By the number of cultural monuments and buildings Tbilisi is included into the top cities of the world. Day 1. Transfer from the airport to the hotel. Excursion to the Ethnographic museum. If the flight is early, then travelers have a day at large. They can move around the city and spend time according to their own wishes. Day 2. Excursion around Tbilisi - visiting various sight seeing. Cathedral "Sameba" built in the 21st c. the first in the world according to volume. Church "Metekhi" - built in the 13th c.
Church "Anchiskhati" - the 6th c.
Church "Sioni" - the 12th c.
Supper in the national restaurant, with wonderful Georgian cuisine. Day 3. Continuation of the excursion around Tbilisi. At this day we offer you to visit famous sulphur baths in "Abanotubani",where all baths are located. The fans could relax in the hot sulphur baths before the evening events. Park "Mtatsminda" - was restored and reopened in 2009. There are a lot of entertainments for kids and it is a place where people of any age can spend time. This is a place where even a capricious client can find a restaurant of his dream. Day 4. 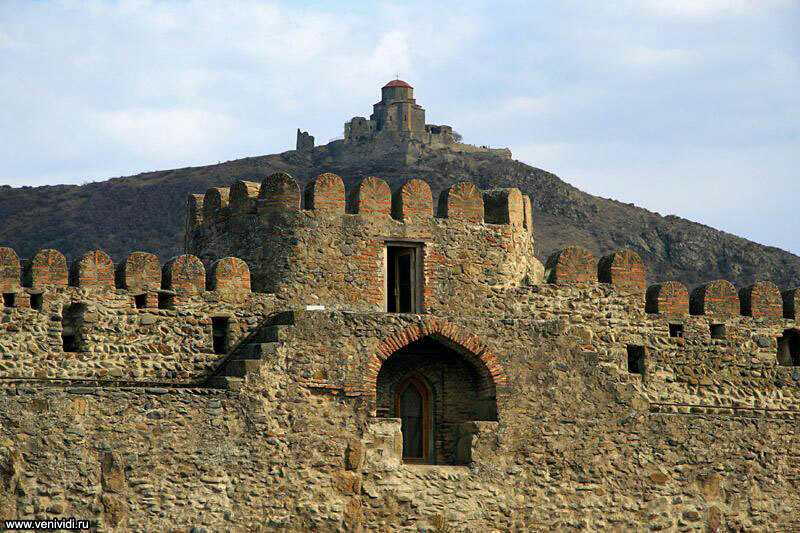 "Mtskheta" - an ancient,and very beautiful town where king's court sit. There are a lot of ancient churches there. Church "Svetitskhoveli" - is built in the 11th c.
Monastery "Samtavro" - the 11th c. King Mirian and Queen Nana Are buried here,the first baptized Christians in Georgia. Monastery "Djvari" (in Jerusalem there is a church with the same name). Return to Tbilisi in the evening. In the evening we offer you to visit one of the famous Georgian restaurants "Tsiskvili" (The mill) known for its gorgeous cuisine, Georgian wines, and performance with Georgian dancing and music starting at 7 p.m. The restaurant is a huge mill itself. Day 5. Gori - a city built by Georgian king David the Builder in 1089-1125. In 1920 Joseph Stalin was born in this city, here is his house-museum. 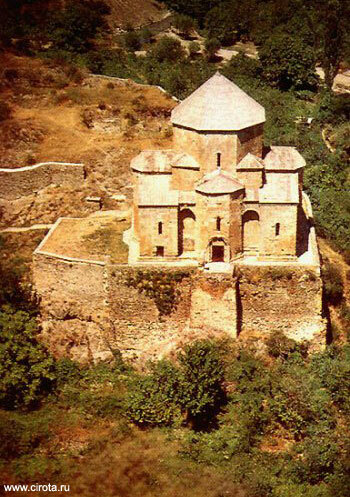 "Uplistsikhe" - is an amazing city, founded in the rock in the 7th c.
"Sion Ateni" - church of the 7th c.
Day 6. 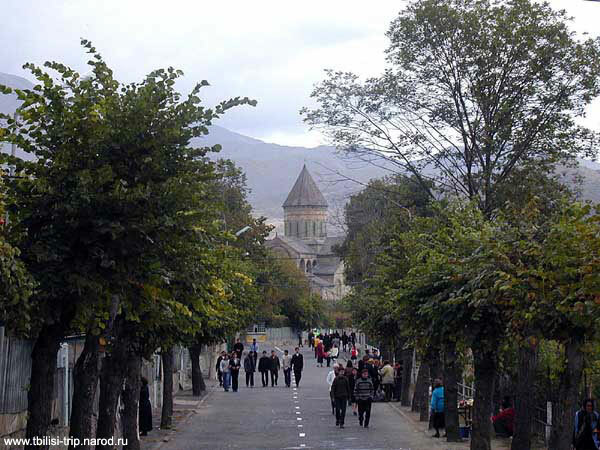 Kakheti - cradle of vine. This is Eastern Georgia. Of 2000 types of vines known to the world, 500 grow here. "Tsinandali" - a museum, built in the 19th c is located in the property of prince Alexander Chavchavadze. Here you will find a unique park, winery with enotheque collection, the eldest of it dates back to 1814. Telavi - a 18th c. Town a residence of Kakhetian king Erekle. 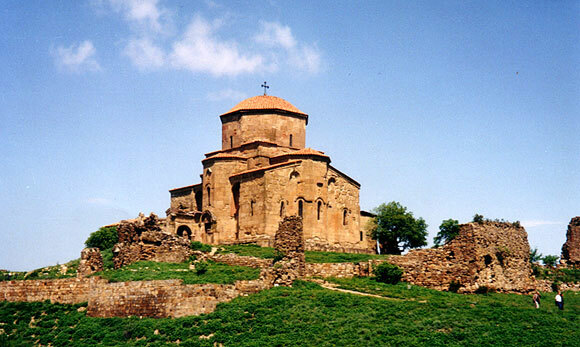 "Alaverdi" - monastery of saint George, located in the 11th c.
"Ikalto" - an architectural complex of the 6th c. The eldest academy of Ikalto is located here, it dates back to the 8th c.
The night will be spent here in Telavi hotel. Day 7. Signagi - one of the wonderful towns of Georgia, founded in the 18th c.
"Bodbe" - Monastery, the nuns are taking care of the grave of St Nino - a baptizer of Georgia. During the stay of the travelers in Georgia, all hotels include price for the breakfast, (some - supper also), the rest period tourist can have dinner according to their wish.